Habitual mispronunciations have long been an irritation to those of us who revere the spoken word. Mispronunciations are not colloquialisms, malapropisms, spoonerisms or any other type of ‘-ism’; they are simply words spoken wrongly. I hear all sorts of people mispronouncing common words; professional and public-facing people, not least my daughter’s teacher! This is not a new phenomenon though; my own headmaster was obsessed with the ‘correct’ pronunciation of the letter ‘H’. In MED, the pronunciation for this letter is given as ‘eɪtʃ’ in the International Phonetic Alphabet (IPA) and this roughly translates as ‘aitch’. My headmaster, however, was convinced that the proper pronunciation was ‘haitch’, and thought nothing of smacking a boy around the head and shouting ‘HHHHaitch! Not Aitch!’ How is the next generation supposed to ‘talk proper’ if their own teachers stumble at these straightforward hurdles? 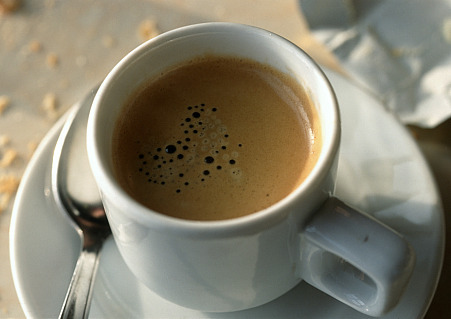 expresso (espresso) – type of coffee. It doesn’t come any quicker than a latté! mischeevious (mischievous) – a mischievous person, especially a child, enjoys having fun by causing trouble. Does one sound naughtier than the other? ‘pecific (specific) – involving or relating to only one particular thing or type of thing. This actually sounds more like ‘pacific’. Hmm, from one particular thing to a whole ocean of them! paintent (patent) – very shiny leather, used for making bags and shoes. Yep – those shoes are just leather, painted. pronounciation (pronunciation) – the way in which a word or language is pronounced. How to say a noun properly? My dilemma here is whether to behave like my headmaster towards people who mispronounce a word, or just accept that perhaps pronunciation is changing, even evolving. Perhaps I am just being a snob? I don’t go around insisting that the city in which I live be called ‘Oxenaford‘, the original name for Oxford, nor do I lament the fact that the big red thing rumbling down the road is now called a bus, rather than an ‘omnibus’. Perhaps I need to accept that ‘specific’ will become ‘pecific because it’s just easier to say. This, however, does not excuse the other words above, which are not being conveniently shortened. These are not like words such as ‘February’, now mostly pronounced as Febury and ‘Wednesday’, usually said as Wensday. It could be argued that expresso is less easy and flowing to say than ‘espresso’ and paintent carries one more mouth movement than ‘patent’ – so why should this be? Could it be an attempt by less educated people to overpronounce things, to appear superior – just like the people who hold their fork like a pen and think it is more refined than the correct way? Or could it be to do with the links people make in their mind between the sound of a word and its meaning, as suggested by some of my comments in the list above? Let me know of any mispronunciations that irritate you and perhaps we should set up our own support group! Two mispronunciations I remember from my home city of Glasgow are both examples of people who wanted to avoid sounding common or uneducated. The first is because some people, from poorer, less well-educated backgrounds, pronunce ‘three’ as ‘free’ – sounds horrible, doesn’t it? The speaker, who had heard people saying physiotherapists and thought they were using the wrong pronunciation, used to say ‘thysiotherapist’. Another was because, in the north of England and Scotland, ‘head’ (the part of the body) is commonly pronounced ‘heed’. ‘You’re off your head’, in a Scottish dialect would become, ‘yer aff yer heed’. So, in an attempt to avoid sounding ‘common’ a friend of mine would say ‘to head a warning’, rather than ‘to heed a warning’. Neither of these mistakes are in common usage but I was tickled by the irony. Like Beth, I find myself irritated by some of these…but I’m not sure why, since my usual position is to be non-prescriptive about what is and isn’t ‘correct’ in language. A couple of common ones you haven’t mentioned, Beth, are ‘vunrable’ (vulnerable) and nucular (nuclear) – the latter a great favourite of George W. Bush. Britain’s answer to Bush, our former deputy prime minister John Prescott, was talking only yesterday about the ‘universiality’ (universality) of state benefits, but Prescott is in a league of his own really. Regarding ‘(h)aitch’: was your headteacher Irish by any chance? In Hiberno-English , ‘haitch’ is standard. Just this morning, I was discussing a blog carnival I’m participating in today, and in the discussion, the phrase “indie author” came up frequently. My wife stopped me and asked “Why do you say ‘indie’ like it hurts?” To which I replied “Because it does! I’m not an ‘indie.’ I’m independent. Why not just say the whole word?” This led to a discussion of fax, phone, and modem (none of which bother me) and convo, info, and burb (all of which curl my toenails). The fact is, language is supposed to evolve, but it’s supposed to do it before I get there. I’ve never called a fax machine a facsimile machine, and I only barely remember the long-gone high school English teacher who insisted we apostrophize phone (as ‘phone), but I do have conversations about information in the suburbs, so those words are never ever supposed to change! Not that I’m condoning the use of “expresso”, but isn’t that the French word for it? And just guessing from how it is brewed, it’s considerably faster than what Americans call ‘regular’ coffee. I think the ‘haitch’ is a regional thing, Northerners tend to say ‘haitch’, Sotherners ‘aitch’. Some dictionaries even list ‘haitch’ as an alternative pronunciation. I have to say, I don’t think the use of ‘expresso’ has anything to do with the speed of the coffee (!) but is simply down to the fact that in English ‘e’ is much more likely to be followed by ‘x’ than by ‘s’. There are many more pages of ‘ex’ entries in the Macmillan English Dictionary than there are ‘es’ ones. I always have to make a conscious effort to say ‘espresso’, because ‘expresso’ just sounds so much more natural.